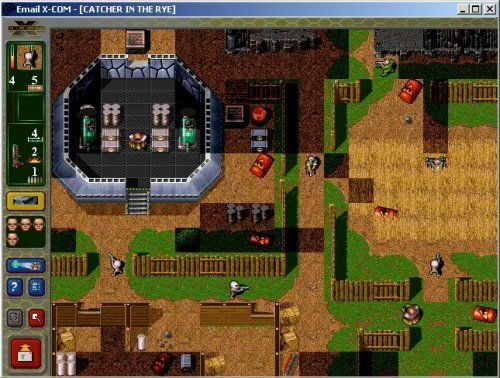 World Of Stuart makes no apologies for having banged this particular drum on more than several occasions, but Email X-COM, a game published by Hasbro in the late 1990s, represents both the very best and the very worst of the videogames industry. The best because it's one of the greatest games ever written for the PC - a simple, snappy updating of Julian Gollop's legendary Spectrum turn-based strategy classic Rebelstar designed to be played by two players via email. And the worst because Hasbro, the game's disease-ridden idiot publishers, implemented it in such a way that when they switched off their proprietary email servers a couple of years later, the game was, for no good technical reason, rendered useless overnight. OR WAS IT? 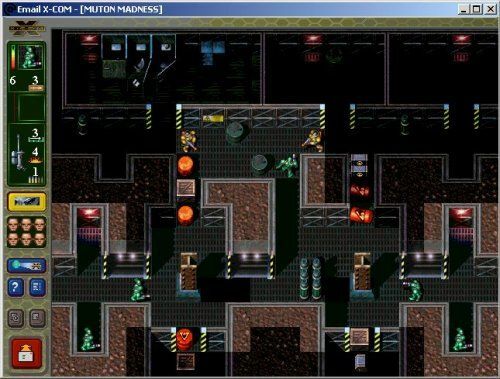 Some coders attempted to hack the game to produce a workaround to the problem, with some success, but in such a fiddly and complicated manner that this reporter could never get it to work. 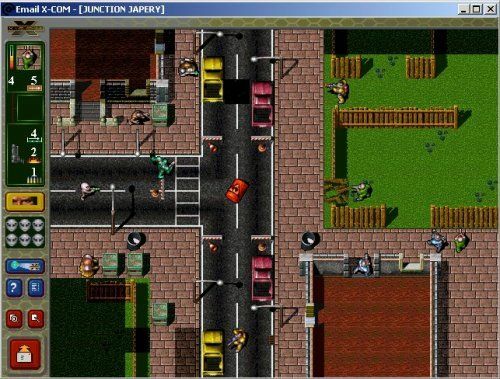 Certainly, the hoops which had to be jumped through to implement the "fix" were so technical that a large part of the game's appeal - the accessibility and simplicity which meant it could be grasped instantly by even novice gamers - was destroyed. And yet, thanks to a piece of genius lateral thinking by an alert reader, World Of Stuart is proud beyond words to announce that Email X-COM has been saved. 2. Run SETUP.EXE to install the game. 4. Start the game as normal, select your battleground and play your first turn. (It's a pretty self-explanatory game, but the manual is here if you need some basic instruction.) When the game asks for the email address of your opponent, enter any old thing and click the "Send Turn" icon. 5. At this point, you should get an error message saying "Cannot connect to the game server". Do NOT click "OK". You should notice that a file has appeared in the "Temp" folder, called something like "p1_trn1.xem". 6. Copy or move this XEM file out of the "Temp" folder to somewhere else, eg onto your desktop. Now you can press the "OK" button, or simply quit out of the Email X-COM program. 7. Now, use your normal email program, eg Outlook Express, to email the XEM file to your opponent. When they receive it - assuming that they've also installed Email X-COM, of course - they should be able to simply double-click on it or open it from the mail program, at which point it will automatically load up Email X-COM and enable them to play their turn, and then email it to you as detailed in steps 4-6, and so on. And that's it. It's that simple. Basically, all you're doing is intercepting the move file before the program tries to send it to the dead Hasbro server, it's only one minor extra step as opposed to how the game was played when the servers were still there. Which is frankly an extraordinarily tiny inconvenience to endure to be able to play one of the world's most excellent games, World Of Stuart is sure you'll agree. So go do it. Thank us later.